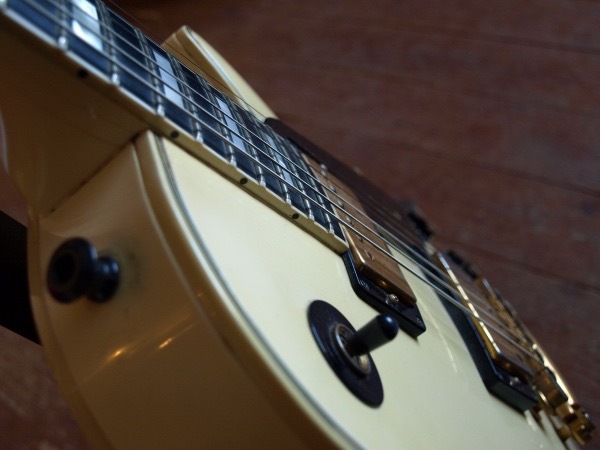 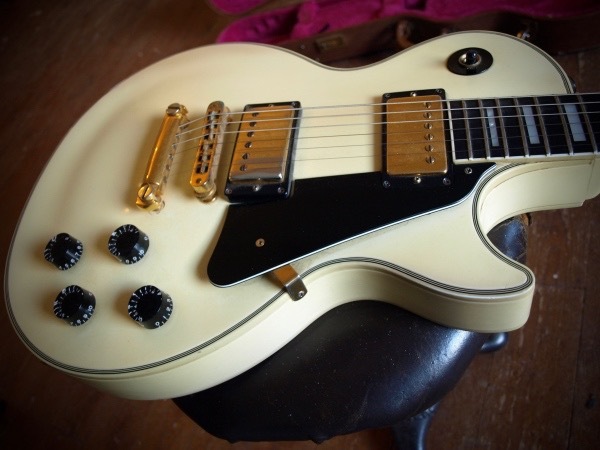 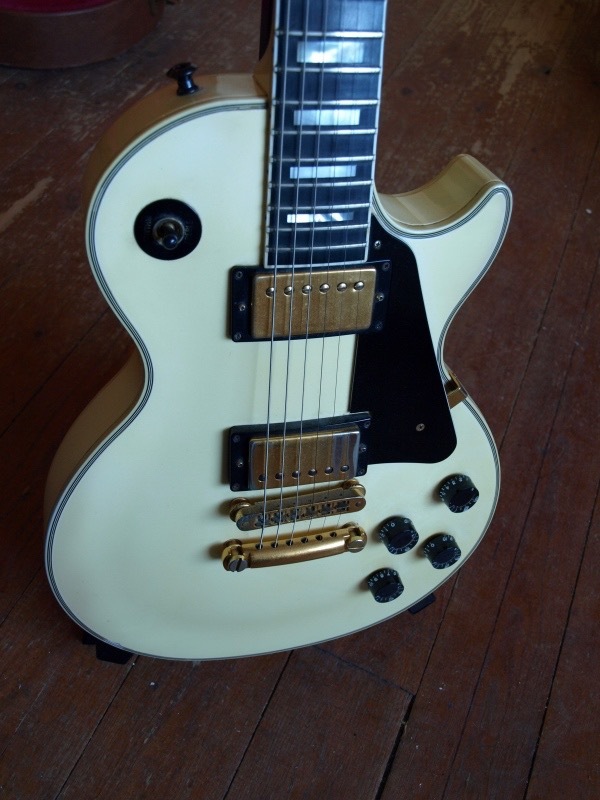 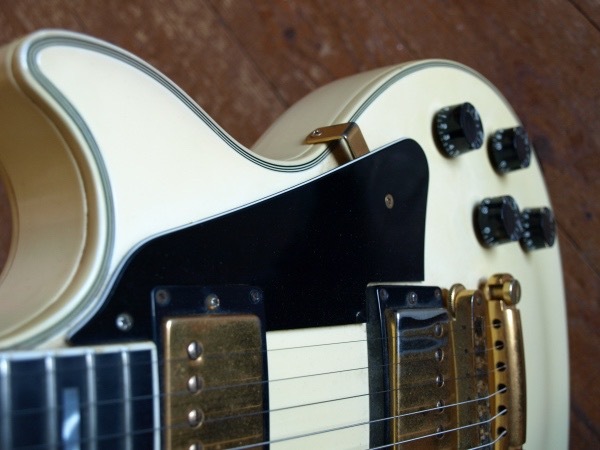 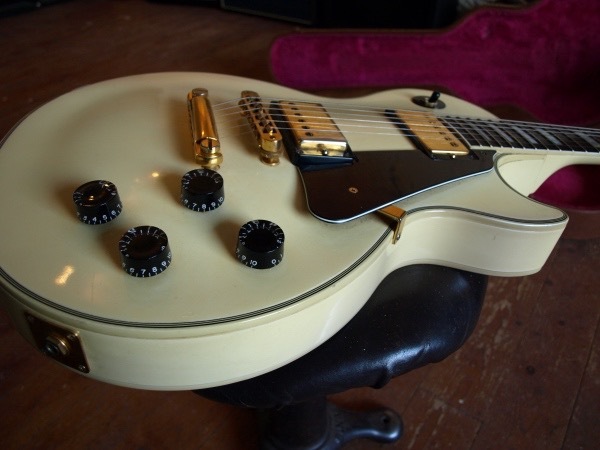 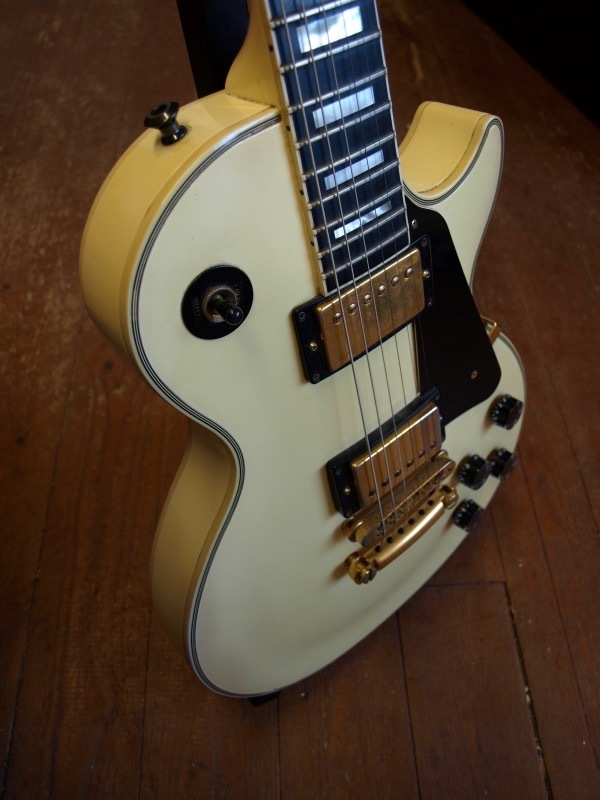 1991 Gibson Les Paul Custom in Alpine White. 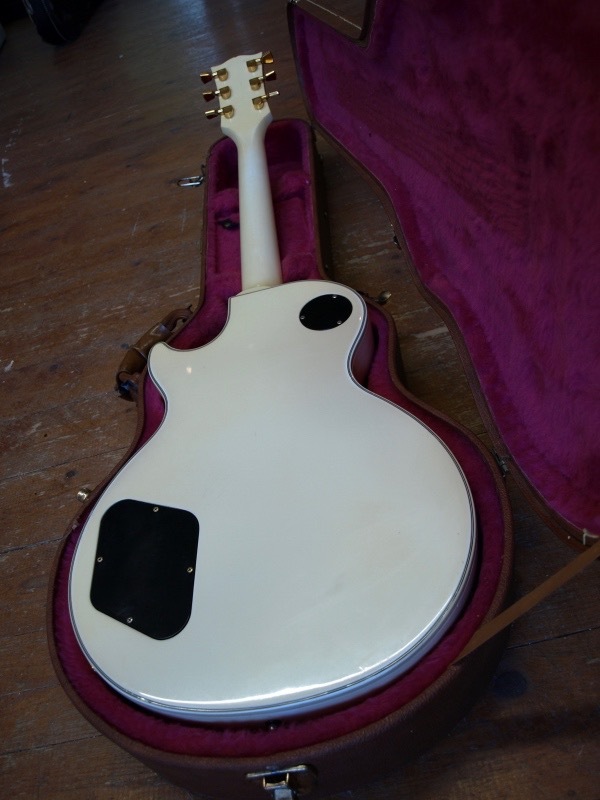 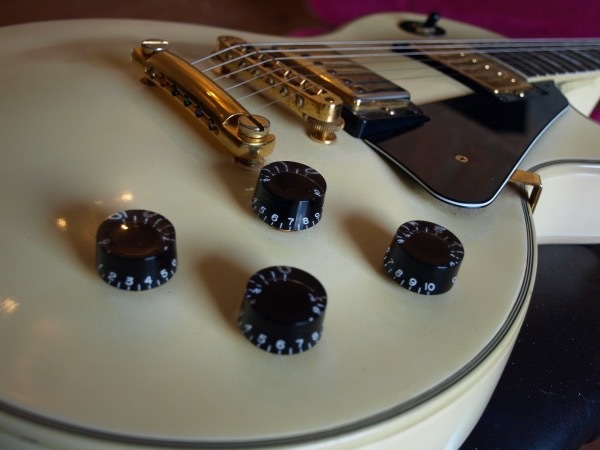 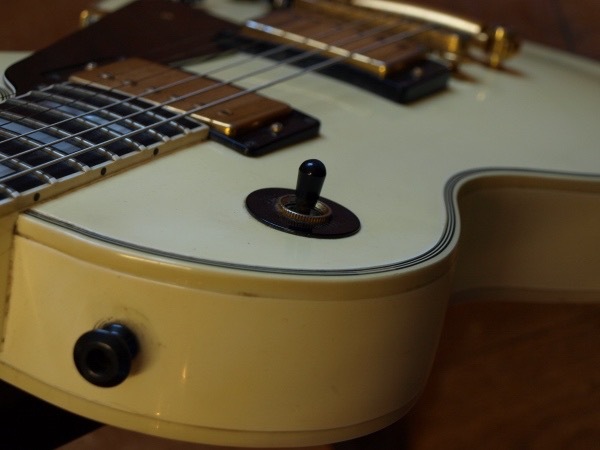 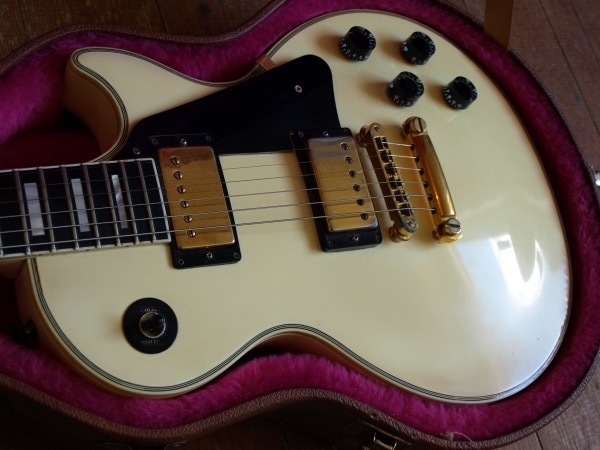 Gorgeous 1991 Gibson Les Paul Custom guitar in stunning Alpine White, Theres just something about a white custom, the way they discolour and take on the creamy yellow off vintage white. 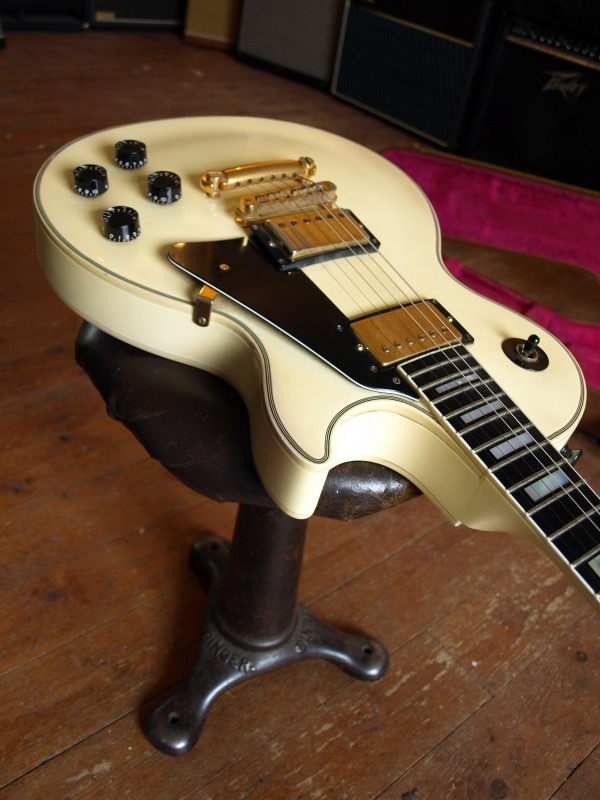 This one is no exception, looks brilliantly road worn. 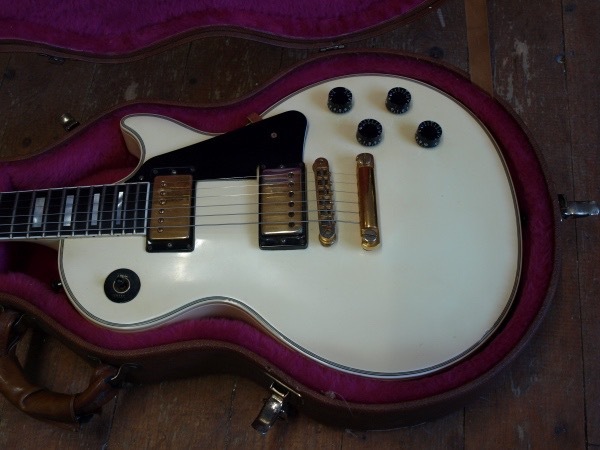 Has a yellowing tinge as all good vintage ones do and a really cool vintage look. 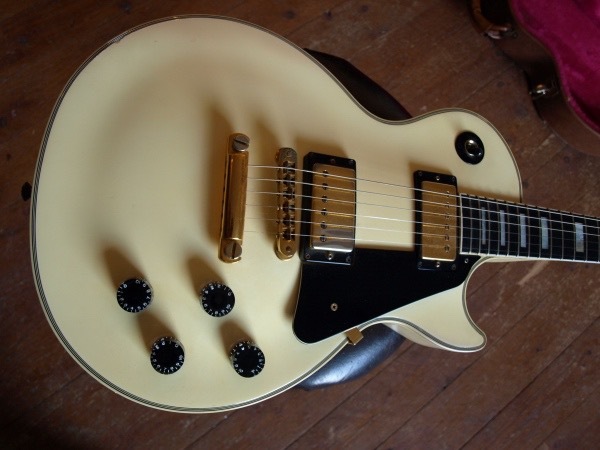 70s style with the playability of a newer Gibson. 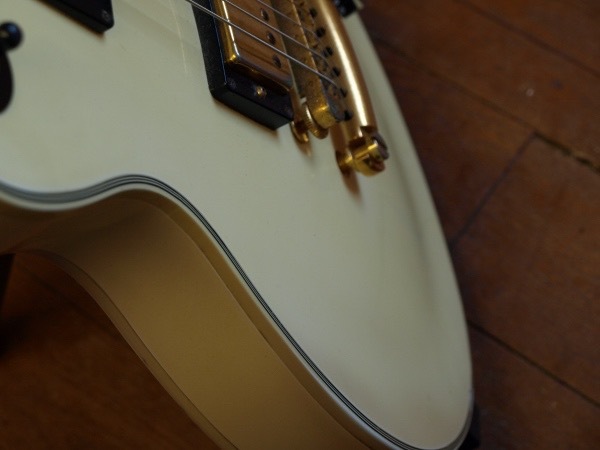 The tone and creamy sound is unmatched by the newer ones. 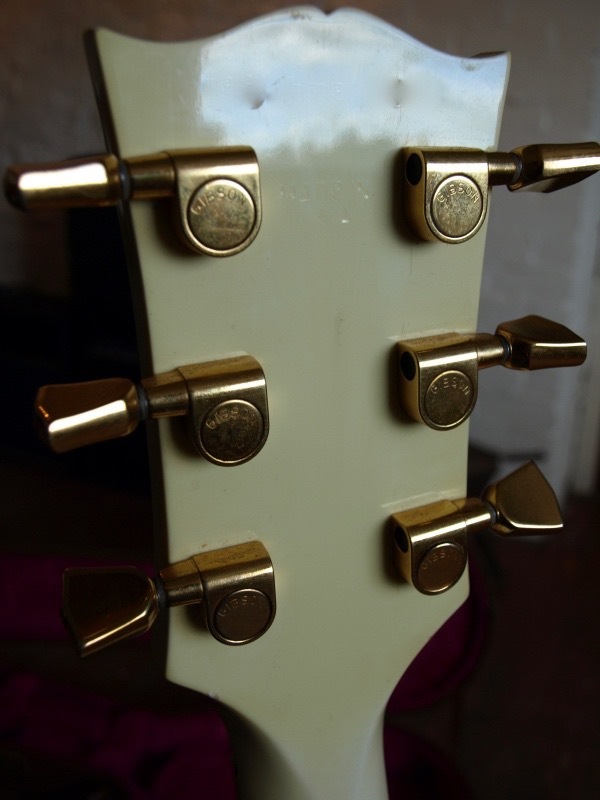 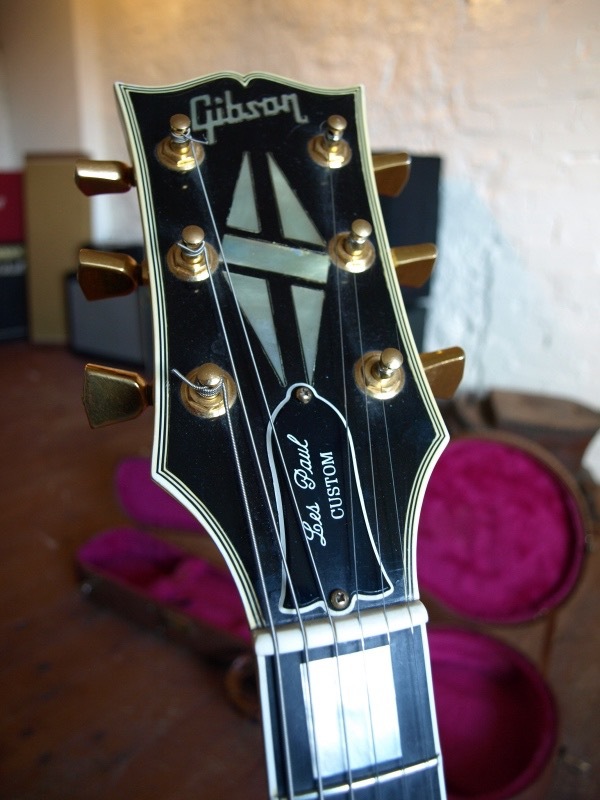 Overall a great 28 year old guitar Nice Ebony fretboard with gold and black hardware. 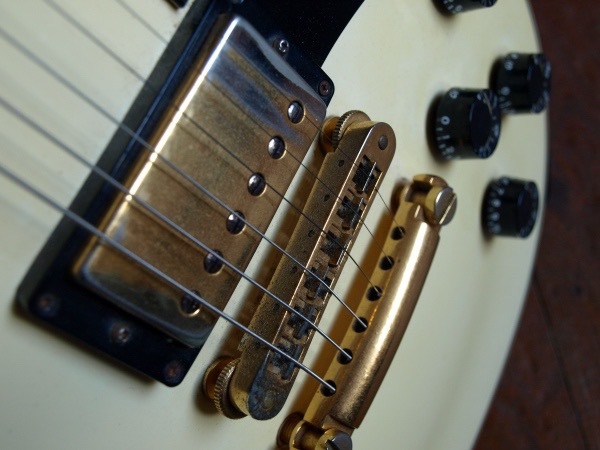 Has some reasonable wear and tear, but to be honest really adds to the character of this guitar. 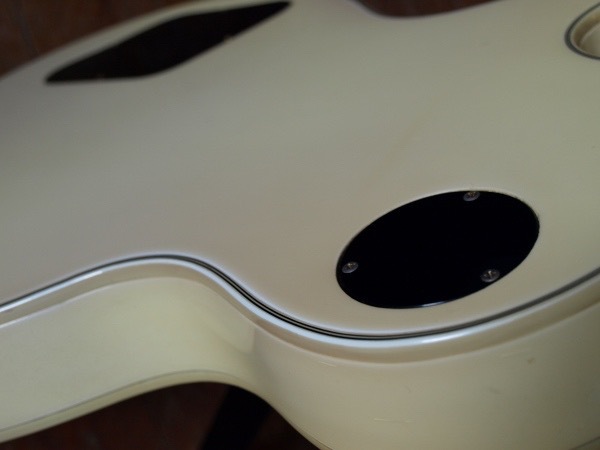 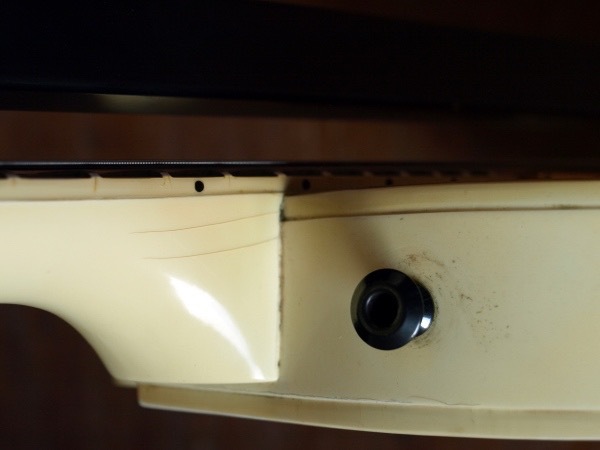 Various small dings and definitely player grade, but thats what makes it so cool. 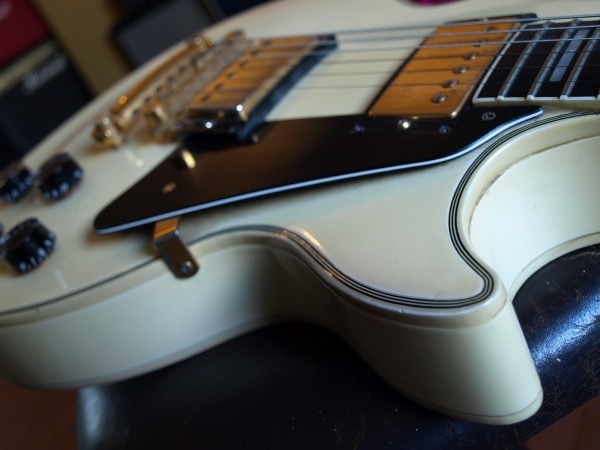 Bindings showing a bit of shrinkage and she’s certainly been played, but you’ve got to ask why a guitar gets played this much. 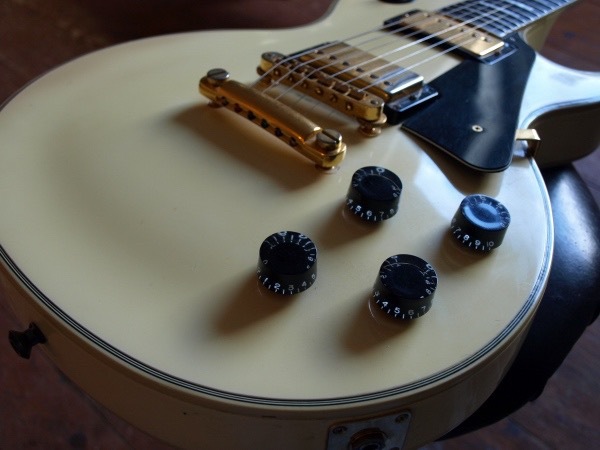 Overall has a fantastic look, screams and has an amazing feel and is quick to bond with. 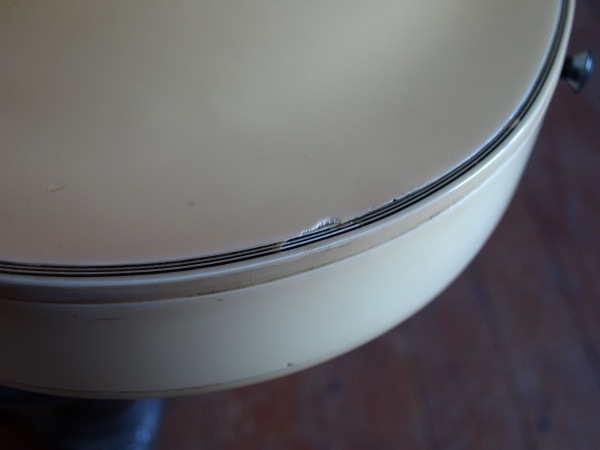 No breaks, cracks, or repairs. 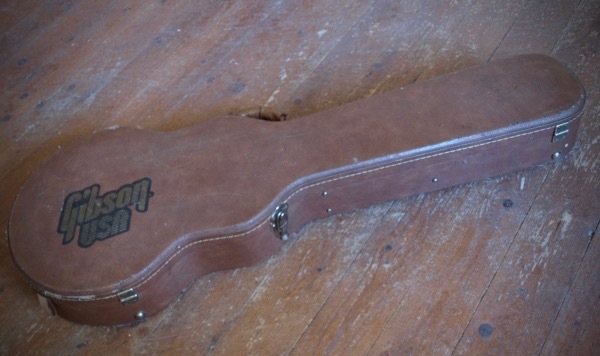 Includes original Hard Case as battle scarred as the guitar. 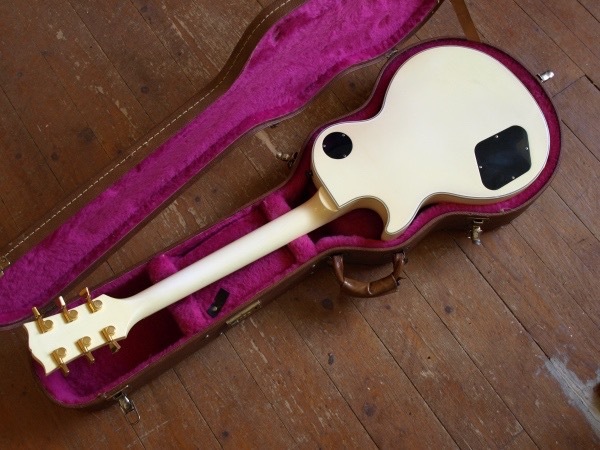 Feels like a 60s slim neck. 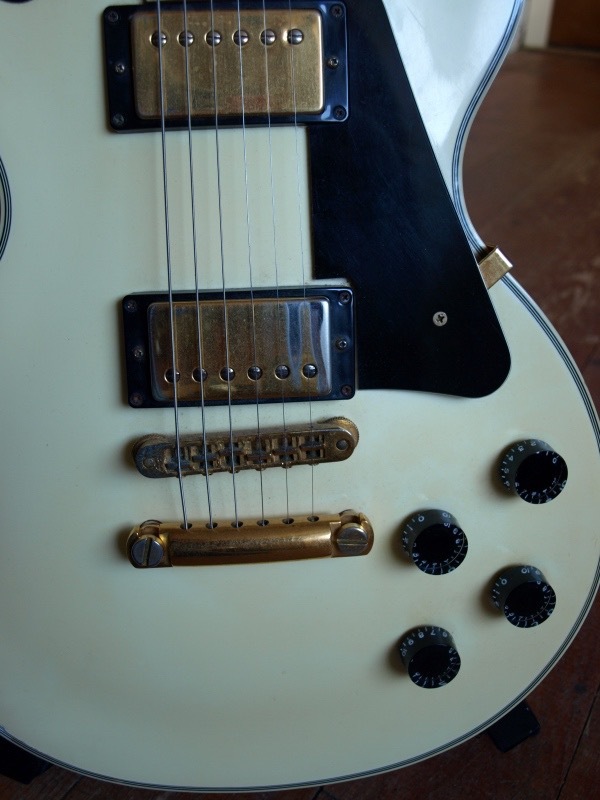 The pickups are Gibson 490s, which offers the tonal characteristics of the original PAFs, slightly hotter with emphasis on mid-ranges and highs than the more standard pickups of the time. 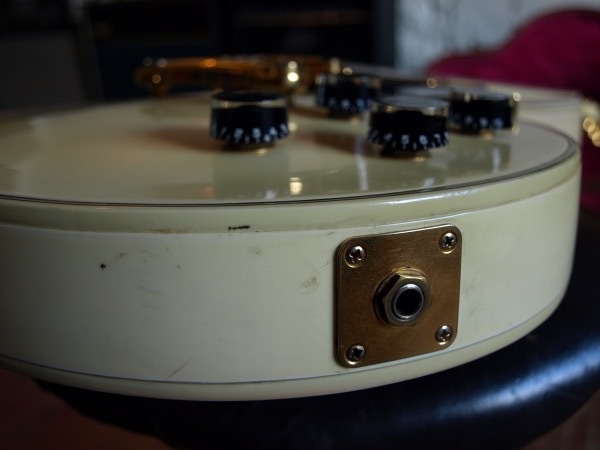 Incidentally the pickups in this one are the patent stamped ones, reminiscent of 70s T tops, there generally rarer to find in this age of Custom as they changed pickups in the early to mid 90s, so probably why this one has retained a very 70s vintage sound.